Harry Jaffa is a leading political philosopher and among the most influential scholars on Abraham Lincoln. His classic Crisis of the House Divided is a study of the Lincoln-Douglas debates that examines closely Lincoln’s defense of the principles of the American Founding and Union. Jaffa’s recent sequel to that work, A New Birth of Freedom, explores further the basis for American republican government. His other books include Thomism and Aristotelianism; The Conditions of Freedom; How to Think about the American Revolution; and Original Intent and the Framers of the Constitution: A Disputed Question. 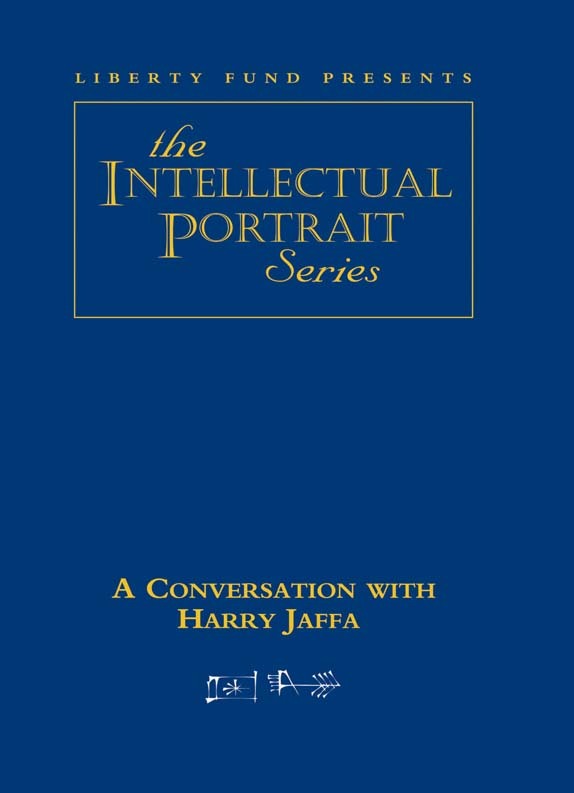 Jaffa is Distinguished Fellow of the Claremont Institute for the Study of Statesmanship and Political Philosophy, and the Henry Salvatori Research Professor in Political Philosophy, Emeritus 1989, at Claremont McKenna College and the Claremont Graduate School. DVD. © 2003. 62 minutes.